Kalimera started as a hobby project in spring 1997, and has since developed into a portal about Greece of very high quality. Today Kalimera Scandinavia's largest website about Greece and the Greek islands, and a big meeting place for many Greece travellers. Kalimera is actually one of the world's largest sites in terms of containing and images. The readers come from all over Scandinavia, mainly from Sweden but also from Norway, Finland and Denmark. Number of visitors varies depending on the season. Most visitors are between February and October, with the absolute peak between May and September. In June 2018 Kalimera had 111 504 unique visitors. In May 2018, we celebrated Kalimera's 21th birthday! 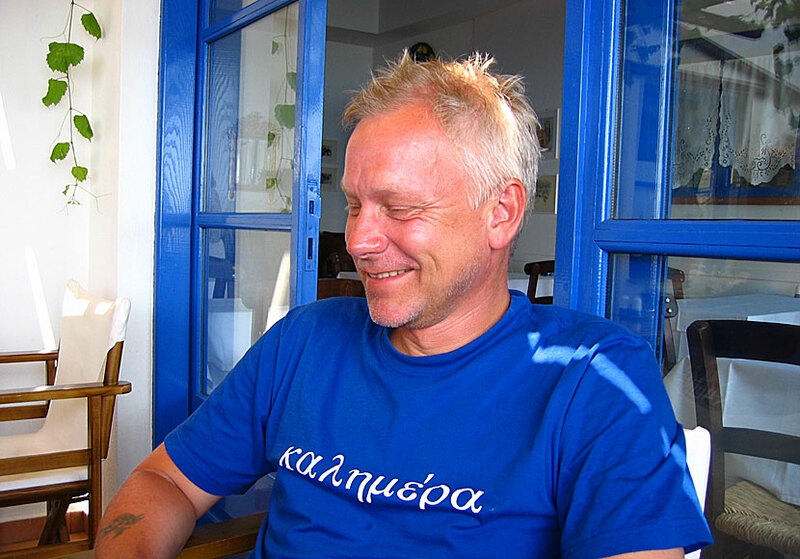 I as working with Kalimera am named Janne Eklund and I live in Karlskrona in southern Sweden. Previously, I lived in Stockholm, but I got tired of the stress of the big city, and moved to the tranquillity of a small island. Janne. The picture is from in Milia in Crete. I travelled to Greece for the first time in 1979 and has ever since been Greece faithful. My wife Camilla helps me with Kalimera. She has many features, including research, photographer and car driver. Camilla. The picture is from in Faros in Sifnos. Through the years there have been about 60 trips to Greece, during that time I and Camilla managed to visit 65 islands, of course, we have also been very much in Athens. We have also been part of the Greek mainland, including Parga, Zagoria, Metsovo and Meteora. In recent trips went to Santorini, Folegandros, Antiparos, Paros, Amorgos, Donoussa, Koufonissi, Schinoussa, Iraklia, Naxos, Samos, Agathonissi, Lipsi, Tilos, Rhodos, Crete and to Pylos, Koroni and Kardamyli in the Peloponnese. In 2007, we fulfilled an old dream to stay long in Greece. We left Sweden in May and came back in November. Six wonderful months in Greece! During the trip, we visited 31 islands, and Athens. about Greece in Aftonbladet, the biggest newspaper in Scandinavia. Of course we are also on Facebook and Instagram. We have two pages on Facebook, one page where I write on Greece and publish pictures, and one page where I, along with members, discussing Greece and publish lots of pictures. Like us on Facebook and follow us on Instagram so you don't miss nothing. 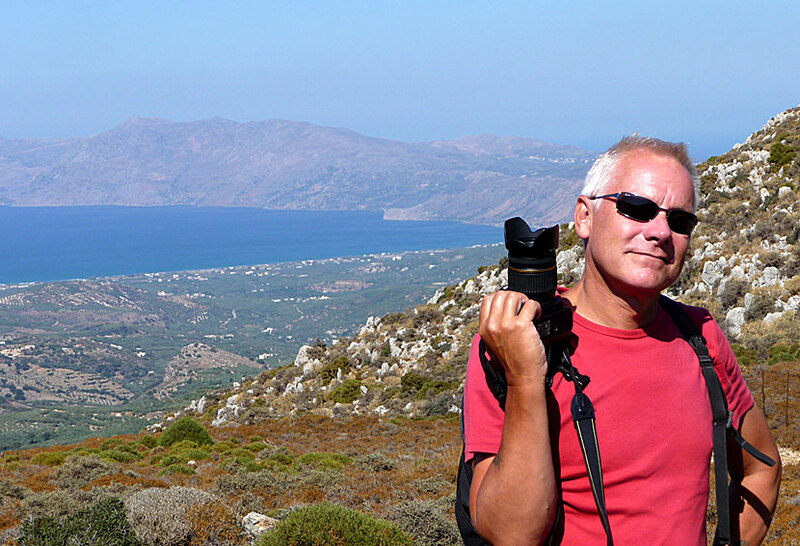 We also have a page about Greece in English called Kalispera, a page with lots of pictures from Greece named Picturesfromgreece, and a website about Amorgos. Links to these sites are further down. Kalimera on Nisyros in Greece.